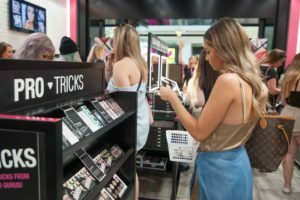 Australia’s first flagship NYX store opened its doors on December 3 and we were lucky enough to be invited as a VIP for a sneak preview of the store before it opened to the public. To say that this was like putting a kid in a candy store is understating how much fun this was! 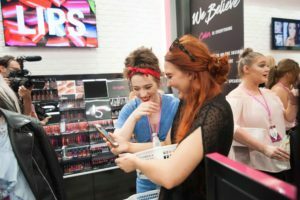 You may be thinking “No big deal, Target and Priceline have been stocking NYX for a while now” and you’re right, they have been, however doesn’t it bug you when all the cult favourites always seem to be SOLD OUT? Fear no more! 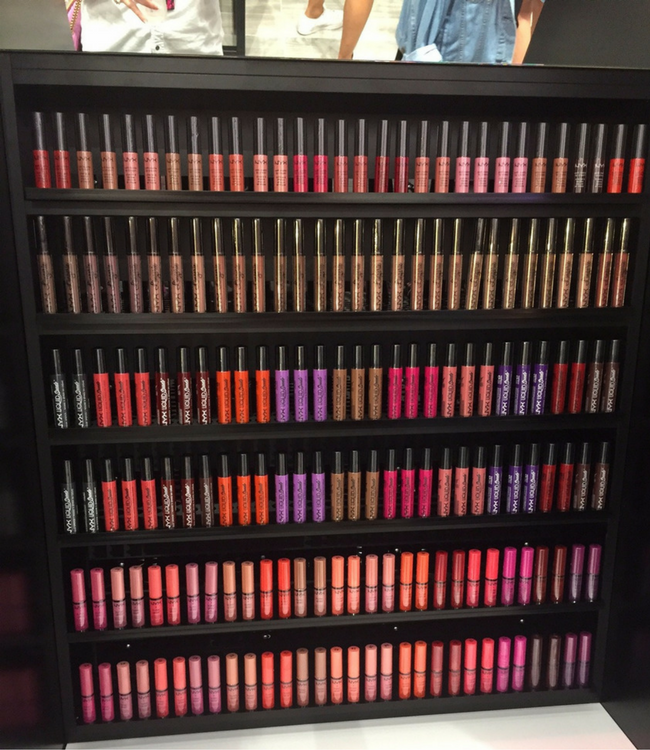 Apart from being at IMATS this store is the largest variety of NYX makeup we’ve seen! Dream of being surrounded by wall to wall makeup that’s rich in pigment and available in a vast variety of shades and colours all at accessible prices? Then this is the place for you! Just check out the shot below of the wall (that’s right, a wall!) of lip testers available in store to try before you buy! 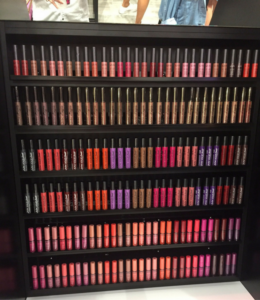 Butter glosses (a personal favourite), soft matte lip creams, lip lingerie and more! All lined up and ready to swatch for you to find that “just right” shade and formula! How convenient! 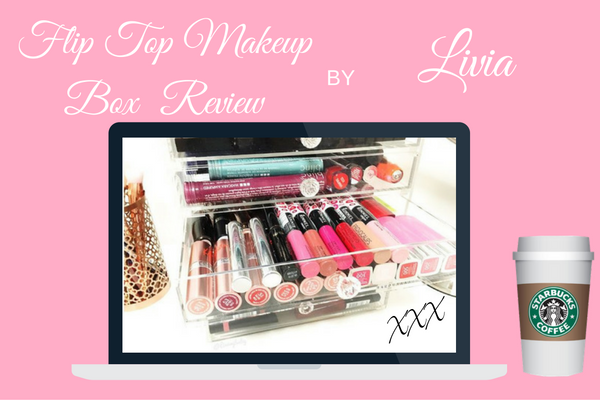 This is your one stop shop to purchase all the makeup you could want, without breaking the bank! Lip Glosses start at just $9.95 and you can even pick up a long wearing mascara for $12.95 and the feedback we heard on the day was that some of these cult faves are comparable with high end products that cost 5 times the price. 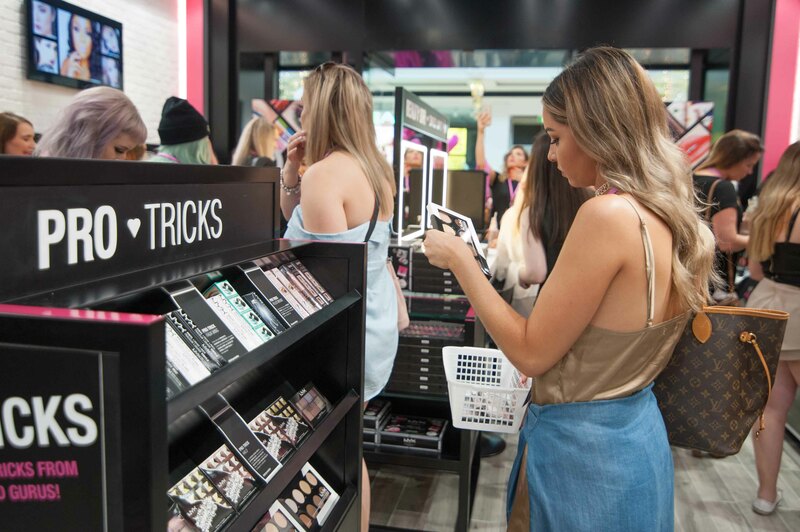 The NYX store is located on level 1, just outside MYER. 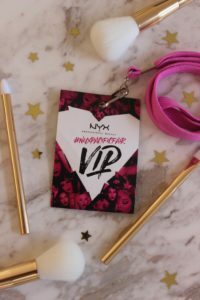 There were easily hundreds of eager NYX addicts waiting in the queue for the early bird giveaways, we heard the queue was building shortly after midnight! Did you attend the NYX Pacific Fair opening? What are your favourite NYX products?